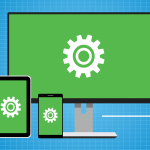 Cross-platform app development: panacea or unnecessary complication? Ever since the beginning of the mobile revolution, companies willing to release an app had to make a difficult choice: which platform to choose? Granted, today, the situation is much more homogeneous than at the dawn of the mobile age – by the end of 2016, 99.6% of new smartphones ran either Android or iOS. Nevertheless, the dilemma of which of them to choose for your app is very much real. Separate development for both platforms is prohibitively expensive for most businesses, but choosing one over another means losing potential customers. Cross-platform development has for a long time been an elusive ideal just around the corner – yet now it seems that it may finally be made easily and affordably possible: recently Microsoft acquired Xamarin, a powerful cross-platform development tool, and intends to heavily invest in it in the near future. This creates a more benign environment for cross-platform devs than ever before. However, is the situation all that promising? Let’s take a look. Again, a native app specifically developed for a particular platform shows the best results because it uses the device’s hardware in an optimal way. However, cross-platform apps aren’t far behind, and at the same time they allow you to save a lot of money and time on development. When compared to both of them, hybrid apps possess one significant advantage: they are much cheaper and faster to produce. This comes at a price of poorer performance, as they are separated from the device’s hardware. To operate such things as GPS or camera they need extra plugins which create additional problems for devs and users as well as impact their security. There is still a performance threshold for cross-platform apps, but in most cases, it is not nearly as low as many people are led to believe. Xamarin comes with two UI options allowing you to make a decision early on and seamlessly integrate it in the overall idea of an app. There is a basic interface developed with the help of Xamarin.Forms (easier to use) and a more advanced one allowing you to select Xamarin.iOS or Xamarin.Android to make for a completely authentic native feel and user experience. The deployment of an app also becomes easier and smoother: framework’s modules and extensions can be easily integrated with a number of different tools to both enhance the app's design and functionality and to make sure they are consistent across all its iterations. In addition to that, there will no longer be any delays with rolling out the latest version of an app for all platforms, with UX being virtually identical for all the platforms. Cross-platform development allows you to reuse one and the same code multiple times. The core of an app is created only once, after which it only has to be adapted for different platforms. It still takes more time than developing for a single platform, but not nearly as much as developing for all the platforms you want to cover individually. Updating and patching apps is also much easier than manipulating numerous separate apps. A lot of time is saved by eliminating many repetitive tasks. The takeaway is this: the work on more than one version of an app can be carried out simultaneously, and goes faster than in the case of native apps. By using a single codebase, the company developing an app can do without heavy investments into a single technological ecosystem. Most importantly, there is no need in more than one development team. Instead of supporting several narrowly specialized teams full-time or outsourcing the job to a number of different companies, spending time and money coordinating them and making sure the app works consistently across all target platforms, the entire process can be carried out within the confines of a single team. One of the greatest problems posed by native development is that you have either to engage in exorbitant expenses for the development of several iterations of an app or alienate the potential clients using this or that platform without a possibility of ever winning them over. Cross-platform development gives you an opportunity to reach a much greater number of people. Both major platforms can be covered without considerably higher expenses, and the margin of profitability for less popular platforms becomes much more achievable as well. Developing a fully-functional prototype before the commercial launch of a product or service is a useful strategy that allows a company to find out if there is a demand for what they intend to sell. Faster development with cross-platform decisions means that the prototype will be done earlier, and lower costs mean that this approach becomes viable for companies that would otherwise have to forgo it and jump in blind. The decision on which cross-platform development tool to choose depends on a number of factors; however, right now, Xamarin looks like one of the most promising variants. It uses code sharing across multiple platforms, offers a cloud service allowing to test it on different devices and provides access to a number of popular libraries like SQLite, ReactiveUI and others. Xamarin Component Store has a wide variety of components that can be added to an app from the IDE. And most importantly, it belongs to Microsoft since 2016, and has already been heavily invested in, which means greater support and functionality in the future. Home » Mobile Technology » App » Cross-platform app development: panacea or unnecessary complication?